Mobile phones are incredible. They can do so many things that we can literally use them all day long. But that’s the problem – we can’t. We love our apps, but the more we use them, the less we get to use our phone. You know what I’m talking about – short battery life. It seems that when we need our cell phone most – at a party, sports game, concert, navigating, or anything else important – that’s when they die. To make sure you don’t miss out on the next big thing, here are 4 major ways you can extend your phone’s battery life. By default, a lot of your apps send you notifications. You probably don’t need all of them. Every time your phone sends a notification, it’s pulling that info using your wifi or cellular data, which drains your battery. If you don’t need to get up-to-the-minute updates from an app, turn of its notifications and you’ll extend your phone’s battery life. These are essential services, but not all the time. Yet having them on consistently will drain your phone’s battery life really quickly. When you’re out and about, you probably don’t need wifi. Unless you’re navigating, you don’t need your GPS. Turn them all off, and turn them on when you need them. It’ll help conserve the phone’s battery. Your mobile phone’s screen uses up a lot of power. There are 2 ways that you can improve this. First, dim the brightness of your screen – that will save a lot of juice. Second, reduce the amount of time before your cell phone’s screen turns off. 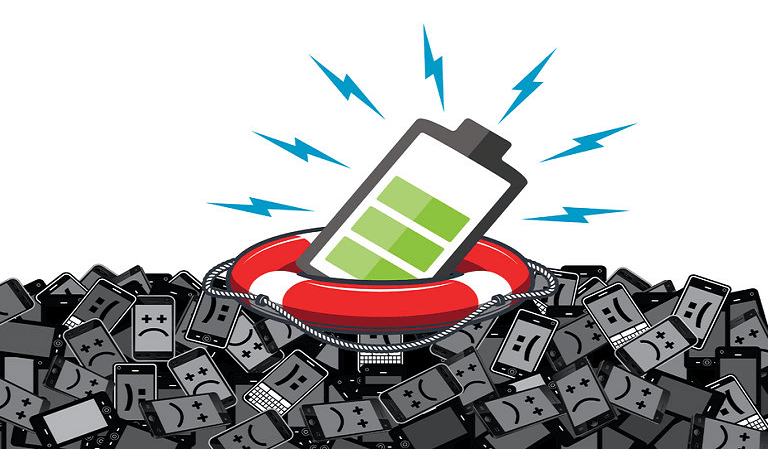 We all hate it when our mobile phone’s battery life is dying when we need it most. By adjusting some settings and how you use your phone throughout the day, you can make sure that you’ll extend your cell phone’s battery life much longer. You can boost you battery with our solar cover. The solar panel send energy to a super slim battery inside the cover. When you battery level drop down, just turn the phone, tap the panel and the recharging will start. You will have always energy in your hands. You can pre-order it already. The official launch will happen on the WebSummit in Lisbon, the 8th of November 2016.Pre-order it here!